You can support Inland Seas by donating your boat (e.g., sail, power, kayak, paddleboard, etc.) and boat-related gear (e.g., life jackets, line, paddles, anchors, electronics, etc.). Donated items are sold to the public who are often first-time boaters and eager to begin a journey on the water. This ongoing fundraiser makes it affordable for them to get on the Great Lakes, supports ISEA and our mission, and may be a tax deduction for the donor. All monies raised from boat sales will be used to support the operation of ISEA. Donated gear will be used to fit out donated boats or offered for sale at the annual ISEA Flea Market. Contact our Boat Sales Agent, Lu Peng, at boatsales@schoolship.org or 231-409-1017 for more information on donating your boat. 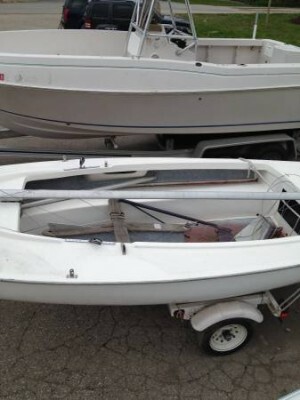 Donated boats are listed for sale on Craigslist.